People generally think of a civil lawsuit as the only way to collect a financial judgement against someone. This simply isn’t true. In Colorado, criminal convictions can also result in big criminal restitution judgments against defendants. In Colorado courts, criminal restitution is a way for victims to get back money if they are harmed financially from a crime. For instance, a victim who is hit by a drunk driver can recuperate their medical and property losses, a victim of theft can recuperate any lost damages, and a victim of arson can recuperate any lost property damage. [A]ny pecuniary loss suffered by a victim and includes but is not limited to all out-of-pocket expenses, interest, loss of use of money, anticipated future expenses, rewards paid by victims, money advanced by law enforcement agencies, money advanced by a governmental agency for a service animal, adjustment expenses, and other losses or injuries proximately caused by an offender’s conduct and that can be reasonably calculated and recompensed in money. CAN YOU SUE ALONG WITH GETTING RESTITUTION? The purpose of Colorado criminal restitution is to make the victim whole again. However, Restitution cannot recuperate all of the damages that a civil lawsuit can. The Colorado Revised Statute § 18-1.3-602 states that, “ criminal “Restitution” does not include damages for physical or mental pain and suffering, loss of consortium, loss of enjoyment of life, loss of future earnings, or punitive damages.” Restitution can be a supplement to a civil case and tool used civil trial attorneys to collect for their clients. In short, victims can sue a party for additional damages in relation to restitution. Additionally, there are often other parties, like an insurance company, a parent, or an employer, who may be at liable civilly but not at fault criminally. This is important as criminal defendants may not be able to pay their restitution. There are consequences for criminal defendants who don’t pay restitution. Their debt is not dischargeable in bankruptcy and the restitution amount increases at a fixed interest rate of 8% each year. Unpaid restitution will also affect a person’s ability to get a Colorado driver’s license. Criminal restitution can be fought separately in a criminal case, from whether the defendant was actually guilty or innocent. 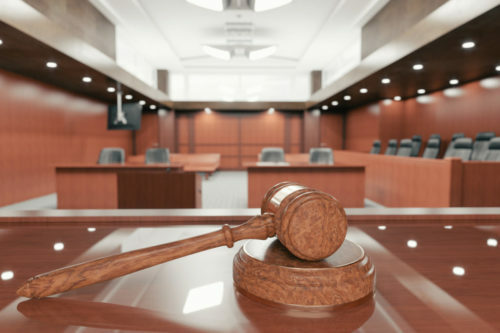 Colorado courts hold restitution hearings separately from a trial but is similar in many regards, putting on witnesses and establishing a case to the court. There are several areas that can be attacked in fighting for or against restitution. Defendants can argue that they weren’t the proximate cause of the damages, that the damages aren’t included under the statute, or that the damages are unrelated to the actual criminal conviction, among other arguments. Fighting for or against a restitution order in a criminal case is a complex process. It can involve putting on witnesses. It may also involve potentially hiring financial experts. Consulting with a Colorado Trial Lawyer who handles both criminal law and civil litigation is crucial in looking at restitution matters. Kalamaya | Goscha is a Colorado law firm founded by Ryan Kalamaya and Amy Goscha. The boutique mountain law practice specializes in personal injury, criminal defense, DUI defense, divorce and family law. Kalamaya | Goscha has law offices in Aspen, Glenwood Springs, and Edwards. To speak to an attorney call (970) 315-2365.